Liss Ard Estate has three nights for the price of two this Easter. Available April 19-22, it includes B&B, an Easter egg hunt for kids and a "special, one-off, never before seen" Easter Sunday lunch. 028 40000; lissardestate.ie or see the Blue Book's Easter specials here. 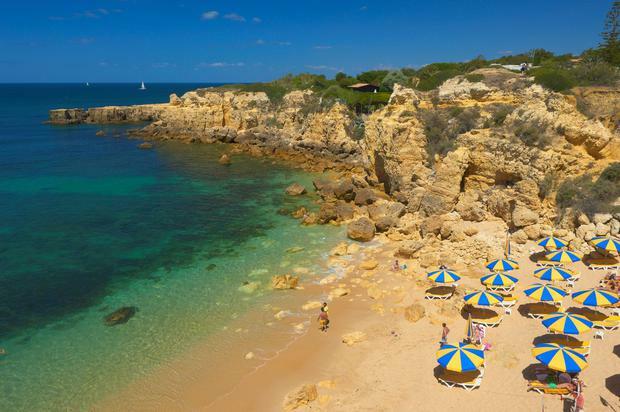 GoHop.ie has dozens of Easter specials to Spain and Portugal, including flights from Cork and seven nights at the 3-star B&B Hotel Alicante from €346.50pp. The price is based on an April 20 departure. 01 241-2389; gohop.ie. ClickAndGo.com has flights, transfers and a week's self-catering at the 3-star Club Alvorferias from €929 departing April 14. The price is based on two adults and one child sharing. 01 539-7777; clikckandgo.com. Sunway has flights plus a week at Kusadasi's 4-star Golden Day Wings Hotel from €399 per adult, €1,168 for a family of three, or €1,537 for a family of four sharing, based on April 20 departures. It also has Easter family trips to Morocco from €1,335 and Cyprus from €1,563 (2+1 sharing). 01 231-1800; sunway.ie. Cassidy Travel has flights and seven nights at the 4-star Las Palmeras hotel near Fuengirola from €1,268 for a family of four sharing. The package uses Ryanair flights and departs April 14. 0818 332500; cassidytravel.ie.